On Friday, 5 October 2007, the International Theological Commission concluded its week-long meeting with an audience with the Holy Father, which is also attended by the superiors of the Congregation for the Doctrine of the Faith. After the Holy Father’s discourse, there was the usual baciamano for all the participants. When it was my turn, the Holy Father was all smiles as usual and asked me how things were going. When I told him that our province had received 15 new novices (at that point, I didn’t know that one had departed) and asked him to pray for them, his face lit up. He said that St. Dominic and St. Thomas would be very happy about this, and then promised to pray for them. Now I find that the next time I see Pope Benedict, I shall have to tell him that, this year, we will have 21 new novices-the largest class in nearly 50 years, if I have understood correctly. Ever since I first heard the good news in 2007, and lately the news of the increasing numbers of inquirers, applicants and admissions, I have been wondering what it all means. It is surely an intriguing development-something nobody in the province was really expecting. It strikes me that we need to think a bit about the significance of this extraordinary grace. Why is God calling all these outstanding young men to the Order, to our province, at this moment? Perhaps there isn’t too much we can do but give thanks and humbly keep on doing what we’ve been doing. No tinkering, please, but maybe some thinking is in order, and this from three overlapping perspectives: ecclesial, historical and cultural. I confess that my reflections on all this are in an early stage, and I offer them as a provisional attempt to consider the significance of this abundance of vocations. I want to think about these new vocations first of all from the perspective of the wider Church, a perspective that working in the Holy See uniquely affords. This is a new vantage point for me, and I know you will want me to share my impressions after eight years in the Curia. I can tell you that the Dominican Order enjoys considerable esteem within the Holy See and among many of the bishops I have met. A sign of this is the ten friars working in the Holy See (if you include Cardinal Cottier, who is retired), two of whom are secretaries of congregations. There are two Dominicans on the International Theological Commission, and the newly appointed general secretary of the ITC is also a Dominican. Several friars serve as consultors to dicasteries of the Curia. There is the view that, apart from the qualities of the individual friars who may be asked to serve in these various capacities, the humanistic and cultural breadth as well as the philosophical and theological depth of the Dominican formation they have received can be relied upon to ensure orthodoxy, probity of life, good judgment, and wise counsel. The Order is perceived as having a clear historic identity, to which the friars have adhered-certainly in our province and, if not everywhere, throughout the world generally-despite the turmoil of the post-conciliar period. Fundamental to the “Roman” perspective is a dual recognition: how much harm, on the one hand, has been done in religious institutes and societies of apostolic life where confidence in the unique gift represented by their historic charisms has been undermined, and, on the other, how much has been lost by accommodation of their forms of life to what they imagine will make them more acceptable to the ambient culture (itself, of course, in constant flux). Another element that informs the Roman perspective is the phenomenon of the multiplication of new religious institutes and societies of apostolic life, as well as public associations of the faithful and new movements with branches for consecrated persons. This development clearly represents a kind of spring time of religious life, although the dazzling parade of inventively colored religious garb that passes daily before the eyes of jaded Roman residents like myself si fapensare [makes you think], as the Italians say. It is a cause of no little concern that some of these new entities are not always built on solid foundations nor, for that matter, by reliable or even virtuous founders. In a situation like this, the classical religious orders that have been faithful to their charisms and maintained the historic identity embodied in their traditions inevitably exercise an important role. A religious order like the Dominicans, and to tell the honest truth, a province like St. Joseph’s- however undeservedly it may seem-stand out like beacons on the international scene. The Holy Father himself, in two recent Wednesday catecheses, presented a remarkable synthesis of the central elements of the Dominican charism and its importance for the Church today (Benedict XVI 2010a and 2010b). In his catechesis on St. Dominic, the Pope Benedict notes that “Dominic wanted to give special importance to two values he deemed indispensable for the success of the evangelizing mission: community life in poverty and study” (Benedict XVI 2010b, 11). First, without vast estates to administer, the friars were more available for study and preaching. “The internal government of the Dominican convents and provinces was structured on the system of chapters which elected their own superiors, who were subsequently confirmed by the major superiors,”-a form of government that “stimulated fraternal life and the responsibility of all the members of the community, demanding strong personal convictions…, born precisely from the fact that as preachers of the truth of God, the Dominicans had to be consistent with what they proclaimed.” Secondly, and courageously, Dominic wanted his followers to acquire a sound theological training and did not hesitate to send them to the universities of the time.” In the Year for Priests, the Pope commends the importance and spiritual value of study to all priests and seminarians: “Dominic, who wished to found a religious Order of theologian-preachers, reminds us that theology has a spiritual and pastoral dimension that enriches the soul and life…. [T]he motto of the Friars Preachers-contemplata aliis tradere-helps us to discover a pastoral yearning in the contemplative study of this truth because of the need to communicate to others the fruits of one’s own contemplation” (ibid.). In his reflection on St. Dominic, Pope Benedict touched on several central elements of the historic identity of the Order-stating, in effect, how the Successor of Peter understands what the Dominican charism is all about. I believe that our province has been blessed to have been generally faithful to this historic identity. As I shall note in the next section, this was not always an easy thing to have achieved, and certainly there have been lapses. But, as I argued in my presentation at the dedication of the new library and academic center at DHS last April (Di Noia 2009), in the difficult decades of the second half of the twentieth century, a critical factor in the preservation of the historic identity of the Order in our province was that the friars in charge of formation and provincial leadership during and immediately after the years of Vatican Council II understood the council to be in essential continuity with the pre-conciliar Church. We therefore avoided the destructive experience of discontinuity and rupture that the Holy Father has identified and lamented in the post- conciliar Church. While I assume that this was true elsewhere as well, I cannot speak with any authority about other provinces of the Order. Speaking of St. Joseph’s Province, despite the difficulties of the 1970s, the “hermeneutics of continuity and reform” prevailed broadly in the province through the 1980s and beyond. In hindsight, and especially through the lenses provided by Benedict XVI’s now famous Christmas 2005 address to the Roman Curia, this may have been the single most critical factor in securing the relative stability and continuing vitality of the Order in the U.S. on the eve of the new millennium. Naturally, there is no room here for self-congratulation. How it happened that our province traversed these perilous waters somewhat reduced but relatively unscathed I cannot say, but I am certain that we have had powerful intercessors-not least of whom Our Lady and St. Joseph themselves-during times that witnessed the erosion and collapse of communities far more numerous and far more prosperous than ourselves. However it is to be explained, the fact remains: the direction was set, and despite some missteps and internal disagreements-perhaps far less sharp in nature than they may have seemed at the time-on the fundamentals of our life, there was and continues to be a remarkable consensus (I say “remarkable” but, in comparison with other situations of which I am aware, it’s really astonishing). Young people whom God is calling to the religious life recognize this instantly and they most certainly sense when this shared sense of identity is absent in a community. My impression is that they embrace the one sort of community and instinctively avoid the other. I have heard that across the U.S. the word on the street-i.e., on the Web!-is that if you are interested in a religious community with a liturgical life and an intellectual emphasis in its pastoral work, and particularly if you are interested in the Dominican Order, the province of St. Joseph is the place to go. In the end, God is sending us these vocations because the Dominican charism is urgently needed in the Church today. I would stand behind every word of my “Dominican moment” presentation at the provincial assembly in 1999. Our tradition is constituted by a unique convergence of qualities: optimism about the rationality and fundamental goodness of the natural order; an abiding certitude that divine grace and mercy are sheer gifts, unmerited and otherwise unattainable; a healthy realism about the peril of the human condition apart from this grace and mercy; a determination to maintain a God’s-eye-view of everything that exists and everything that happens; an appreciation of the inner intelligibility of everything that God has revealed about himself and us; a wholly admirable resistance to all purely moralistic accounts of the Catholic faith; an unfailing devotion to the Eucharist and the Passion, combined with an unshakable confidence in the intercession of the Blessed Virgin Mary; a zealous willingness to preach and teach about all this, in season and out, because we are convinced that the world is dying to hear it and dying from not hearing it; and, internally, a commitment to liturgical prayer, to study for the sake of the salvation of souls, and to a capitular mode of governance in a common life consecrated to God by poverty, chastity and obedience. This is a powerful combination, and the Church really does need us to be true to it now more than ever. In the present circumstances, it seems to me indisputable that the young men being drawn to the province by God discern here a living embodiment of the Dominican charism as they have come to know it in various ways, but chiefly by their study, experience, and observation. I do not mean to suggest that this recognition is the only element in their being drawn to the Order, but, according to the CARA study, “spirituality, prayer, community and lifestyle” are among the more important factors that attract new members to religious institutes (CARA 2009, 197). The province has responded to these young people with a strong and clear formation in the traditions of the Order, and with the best theological, spiritual and pastoral education we can provide. There must be a confidence that, whatever our faults, the province possesses a tradition to transmit as well as the practical wisdom to impart it. We must be open to the challenge that they will almost certainly pose to us to be true to that tradition, but there must be no loss of confidence on our part. The province itself is the product of a very particular history, and the evolution of the Dominican life within it is something precious and unique. If we are to help our new friars to understand this history, we need to have an adequate grasp of it ourselves. I am not an expert in this history, but it seems to me that certain points are of immense importance in understanding the character of the province at the beginning of its third century of existence and its ability to attract so many new vocations (cf. Coffey 1969; Vidmar 2005). It is sometimes forgotten that the foundation and early years of the province coincided with the French Revolution and the Napoleonic era that, in combination with other factors, turned out to be a catastrophic period in the history of the Order (see Burleigh 2006 for background). Allow me to quote Fr. Hinnebusch’s sobering description of the period from 1789 to 1859 when “a series of calamities disrupted the order’s government; destroyed or weakened its priories, monasteries, and provinces; crippled its foreign missions; scattered its members; and brought it close to extinction. No general chapter convened between 1777 and 1832.” Fr. Hinnebusch continues: “Between 1790 and 1819 the houses of France, Belgium and Germany were suppressed. In Italy only 105 of 750 houses survived. After 1808 the wars of independence destroyed most of the Latin American provinces. Suppression of the Portuguese and Spanish provinces followed in 1834 and 1837 respectively. Russia gradually smothered the Lithuanian, Russian, and Polish provinces under its dominion after 1842. But the provinces of Ireland, England, Holland, Dalmatia, Ecuador, Chile, Argentina, the Philippines, and the U.S. continued without interruption. Of these only the Philippine province was strong in membership” (Hinnebusch 1967, 980). It was only in 1850 that the Order experienced a gradual recovery, beginning with the reestablishment of the province of France by Fr. Lacordaire and the accession of his disciple, Fr. Vincent Jandel, to the posts of vicar general and master general of the Order. It is extraordinarily important to have some grasp of the general state of the Order in the period of the founding and early years of the province of St. Joseph. The situation in the early 1800s was such that, apart from the formation and guidance of the English friars (themselves living in exile in Belgium), Fr. Edward Dominic Fenwick and his first companions were largely on their own. In the paragraphs that follow, I have drawn upon and adapted some passages from the final report of the parochial evaluation commission of the 1982 provincial chapter which I authored. My objective in reprising this historical analysis here is to put the current institutional profile of the province into perspective, in order to help us and the younger friars to value the distinctive qualities of Dominican life as it has evolved over the two hundred years of our existence. Despite the difficult conditions of the Order in this period, our founding friars had a sufficient understanding of the historic identity of the Order to point them in the right direction once they got rolling. They recognized that from its earliest days, the Dominican Order sought to establish itself in significant urban centers, in priories with churches where its liturgy could be celebrated and where sufficiently large congregations could be assembled to hear its preachers. The historical record shows that, generally speaking, these priories were ample enough to sustain large communities of friars who could carry on the conventual life even when many of the brethren were absent on preaching assignments. It was understood that such communities were necessary to support the itinerant preaching ministry, both materially and spiritually (Tugwell 1979, 82-96; Hinnebusch 1966, 251 ff.). Given the structure of ecclesiastical organization in most of Europe and throughout most of the Order’s first five hundred years of history, the most desirable urban locations always entailed some responsibility for the cura animarum of the faithful dependent upon the churches granted to the friars. These were not parishes in the strict sense that would become characteristic of post-Tridentine times. Indeed, the Order in Europe was established in many of its most important and typical locations in a period when the development of parish structure was extremely fluid. The Order accepted the responsibility for the cura animarum associated with certain locations only as an adjunct to its primary interest, viz., the establishment of priories and churches that would serve its preaching ministry, its commitments to study, the liturgical life and religious observance, all regarded as crucial to the effectiveness of the praedicatio. Without entering into a discussion of the adjustments necessary in the 16th and 17th centuries when the hierarchy sought to confirm the establishment of territorial parishes, we note the crucial fact here: during most of its history in Europe the Order could acquire desirable locations for its foundations without ever having had to accept substantial parochial commitments-in the modern sense-because the parish- centered ecclesiastical structure did not for the most part exist in Europe until well after the Council of Trent. In the United States, the situation faced by the province in its formative period was just the reverse of what the Order had encountered in the European setting. Here, the Order could not for the most part have acquired locations favorable to its form of life apart from accepting responsibility for the territorial parishes surrounding the churches granted to it by the bishops. Church structures in the U.S. were being developed from scratch at a time when the effort to establish the Tridentine reform of parish life was at its height. It would be hard to exaggerate the significance of this situation when compared with the immeasurably more fluid situation of the high Middle Ages. Once it had moved beyond the stage of serving the essentially missionary churches of Ohio and Kentucky, the Dominican Order in the U.S. sought to establish itself on the East Coast in the main American urban centers then overflowing with Catholic immigrants. The move to make such foundations gathered momentum beginning in the 1860s. No other kinds of foundations were really possible (except perhaps for schools) apart from foundations with a level of responsibility for the cura animarum generally without precedent in the Order’s European (and at this point, main) branch. The American Dominicans, if they wanted to be in Washington, New York, Philadelphia and Chicago, would have to accept territorial parishes in order to maintain the Friars Preachers’ longstanding tradition of great churches and ample priories. At least initially, the acceptance of parishes by the Order in the U.S., rather than representing a lapse from authentic Dominican ideals and traditions, was the means by which these could best be embodied in the developing American Church. The leadership of the province sought houses that would support the regular life, the demands of a local cura animarum or parochial ministry, as well as the itinerant preaching bands engaged in parish mission work at the time. While individual parochial foundations may have turned out to be unsuitable for the Dominicans in the long run, the endeavor to establish the Order in large priories and churches in main Catholic population centers was consistent with Dominican practice from the beginning of the Order’s history. 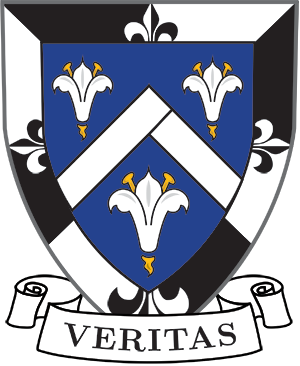 The Dominican House of Studies, Providence College St. Stephen’s Priory, and Aquinas High School were, for a long time, the most significant non-parochial foundations in the province. It seems to me that the general policy pursued by the leadership of the province in the late nineteenth and early twentieth centuries was fundamentally sound, and not merely an unreflective response to unfavorable historical circumstances. As the twentieth century wore on, most of these foundations came to be viewed primarily and sometimes exclusively as parishes. Rather than in the traditional understanding of priories as centers of a variety of Dominican ministries but charged with a local cura animarum as well, many of our priories came to be regarded as residences for the parish staff. Perhaps it was this development that various Roman visitators observed and criticized when they described our houses as little more than presbyteries or rectories, lacking not only in the essentials of the conventual life but also in that outreach characteristic of the Order’s conception of its preaching and intellectual ministries. I wish that I could speak more expertly about the significance of these developments when they are considered in the light of current conditions in the Order. I hope that I will have inspired someone to take up the study of this topic. For we need to understand better how-after fifty years in which the province developed relatively independently of contact with the European provinces-it began slowly to absorb the general drift of the subsequent restoration and reform efforts of Lacordaire and Jandel, which, in their initial stages, had been a source of serious tension. By the late twentieth century, with the general chapters and general administrations of the post-conciliar period, the Jandelian reform movement seemed to have run its course, according to some observers. In this same period, ironically, the province of St. Joseph came to be known in some quarters as one of the more “traditional” provinces of the Order-largely because, in contrast with several influential European provinces, the hermeneutics of continuity prevailed in its reading and implementation of the Second Vatican Council. In the first decade of the twenty-first century-which brought a worldwide upswing in vocations to the priesthood and religious life-the province has emerged with a clear sense of its historic Dominican identity and a remarkable degree of institutional and apostolic energy that cannot fail to attract prospective members. We might also note that the new vocations whom God is drawing to our province have already prompted us to think in new ways about our institutions and commitments. A program of organic development that takes the historical background as well as the particular features of the American ecclesiastical situation into account will help us to meet the hopes and expectations-including their desire for larger communities, vital common prayer, and communal ministry (CARA 2009, 198)-that are typical of contemporary vocations and, naturally, of young men drawn to the Dominican Order. There is something new afoot among the young men being who are today being drawn to the priesthood and religious life, and thus to the Dominican Order. I have noticed it over the past few years, but it seems more pronounced or at least more evident to me in the people born in the mid- to late 80s and early 90s. My sense is that these 20- and 30-somethings have been radicalized by their experience before entering the Order in a way that we were not. I am not certain how they would articulate their experience for themselves. It is as if they had gone to the edge of an abyss and pulled back from it. Whereas we tended to experience modernity (and then post-modernity) as a kind of adventure that never or rarely touched the core of our faith, these 20- to 30- somethings have experienced the moral relativism and eclectic religiosity of the ambient culture-and possibly of their own personal experience- and recognized it as a chaotic but radical alternative to Christianity with which no compromise is possible. It may be hard for us to comprehend, but these young people do not share the cultural optimism that many of us learned to take for granted in the post-conciliar period, even if with deepening unease and disillusionment as the years of the late twentieth century wore on. The Second Vatican Council, even for those untroubled by the hermeneutics of discontinuity, was nonetheless seen as an affirmation of modern culture. There was the perception that the Church had previously adopted an overly negative view of the culture, creating a Catholic culture that was insulated from the wider culture (cf. Gleason 1987). But now the Church seemed to be promoting an embrace of that culture and an affirmation of its humanistic values and its social advocacy. In hindsight, we see the terrible irony of this move, as it coincided precisely with increasingly radical departures from the Christian worldview throughout western culture, as the sexual revolution gathered momentum, as abortion came to be legalized in more and more societies, and as a media-driven materialistic consumerism spread widely in the West and elsewhere (see Rowland 2003). With these and other developments, the already fragile social, cultural and, in some countries, political legitimation and reinforcement of Christian values in the wider society began to unravel. The Church now finds herself at odds with many powerful trends in western culture. What is more, “In the powerful yet soft secularising totalitarianism of distinctively modern culture, our greatest enemy is…the Church’s ‘own internal secularisation’ which, when it occurs, does so through the ‘…largely unconscious’ adoption of the ‘ideas and practices’ of seemingly ‘benign adversaries'” (Nichols 2008, 141). There are many signs of this invasion of modern cultural assumptions. The disenchantment of the liturgy is one of the most striking instances of this development (see Robinson 2005), and one to which young people are particularly sensitive (as witnessed by their enthusiasm for the 1962 Missal). But there are many other signs of internal secularization: the erosion of belief in the uniqueness of Christ as savior, and of the Church as the indispensable means of salvation; the widespread embrace of contraception by Catholic couples; sexual immorality on the part of priests and religious; the displacement of the missionary impulse by social advocacy; the collapse of recognizable religious life among many communities of religious women in the U.S.; and so on. In the broadly influential strategy of the hermeneutics of discontinuity and rupture, many of these developments were promoted as if they had been warranted by the Second Vatican Council itself. No one understood these developments more clearly than Pope John Paul II, as we saw in his brilliant de-construction of the underlying premises of what he called the culture of death (notably in Evangelium Vitae) and in his endeavor to reclaim the legacy of the council (notably by means of the 1985 Synod of Bishops). Over their more than twenty years of close collaboration, Cardinal Joseph Ratzinger shared with Pope John Paul deep misgivings about post-conciliar cultural optimism as well as a sober assessment of the cultural drift of the final half of the twentieth century, and, now as Pope Benedict XVI, he has taken up and reasserted these very themes. Perhaps because both popes strove to appeal directly to young people, 20- and 30-somethings-often in sharp contrast to their elders-exhibit an almost uncanny attunement to the message of these two pontificates. In trying to understand all this, I have been influenced by Charles Taylor’s analysis of what he calls the culture of authenticity according to which “each of us has an original way of being human” (Taylor 1992, 28). Though it seems to be a form of moral relativism, this expressive individualism actually functions as a kind of moral ideal for many people: “[T]he soft relativism that seems to accompany the ethic of authenticity [asserts]: let each person do their own thing….One shouldn’t criticise the others’ values, because they have a right to live their own life as you do. The sin which is not tolerated is intolerance” (Taylor 2007, 484). In this perspective, not only is it immoral to be intolerant of the values of others. It is immoral to allow any extrinsic measure to displace the “authority” of one’s authentic self. Fundamental to this “moral ideal” is the understanding “that each of us has his/her own way of realizing our humanity, and that it is important to find and live out one’s own, as against surrendering to conformity with a model imposed on us from outside, by society, or the previous generation, or religious and political authority” (Taylor 2007, 475). If each individual is morally obliged to discover and actuate his or her unique form of humanity and reject any external measure or criterion as an immoral intrusion on the personal quest for authenticity, then the fundamental moral stance must be not to interfere with or curtail any person in this quest. Taylor wants to show the impact of this matrix of ideas on public life, but there are obvious difficulties here for any religious tradition that understands itself to be in possession of a measure of human authenticity to which one must conform oneself in order to be truly human. A strong religious view of the nature of human authenticity and the means to attain it would run directly counter to the culture of authenticity. The young men who are being drawn to the Dominican Order today-from God-knows-what kinds of personal and social experiences-know that the post-modern culture of authenticity leads to moral chaos, personally and socially, and they want no part of it. They see-probably by a pure grace of the Holy Spirit, for their family backgrounds and catechetical training surely cannot explain it!-that human authenticity is possible only by living in conformity to Christ, and, in this particular case, to Christ as the Dominicans know and preach him. It is not only the practical moral relativism of our time that the 20- to 30-somethings reject. They are also acutely sensitive to the eclectic religiosity, with its doctrinal and theological relativism, that they perceive as a dominant feature of popular culture. It represents, in the eyes of some observers, the triumph of Protestant liberalism, whose core values of “individualism, pluralism, emancipation, tolerance, free critical inquiry, and the authority of human experience” have come to permeate American culture (Smith and Snell 2009, 288). The young men who are drawn to the Dominican Order reject the liberal faith which many of their peers have come accept in some form and which was “described by Yale theologian H. Richard Niebuhr in 1937 as being about ‘a God without wrath [who] brought men without sin into a kingdom without judgment through the ministrations of a Christ without a Cross'” (ibid.). Many of the young men who are drawn to the Order today have a far more direct and intimate acquaintance than most of us with the moral relativism and eclectic religiosity that permeate popular culture. As I stated earlier, for them, with this culture no compromise is possible. These young men are attracted by the clarity-if not always by the sophistication and subtlety-of the Dominican theological tradition, and by the Order’s recognition of the harmfulness of doctrinal error and its apostolic commitment to doctrinal preaching and theological education. They are repelled as much by the theological muddles that obscure the distinctiveness of the Catholic faith as they are by the moral relativism that thwarts many of their peers “from ever being able to decide what they must believe is really true, right and good” (ibid., 291). But it is not just the clarity of the Dominican way of thinking, reasoning, teaching and preaching that attracts them. It is something much deeper: not just clarity, but the love that drives it. In the end, it seems to me that these young people are drawn to what Benedict XVI has called “the intellectual charity” and “pastoral yearning” that inspire Dominican apostolic zeal- “a ‘charity of and in the truth’…that must be exercised to enlighten minds and to combine faith with culture…”, the desire “to make ourselves present in the places where knowledge is tempered so as to focus the light of the Gospel, with respect and conviction, on the fundamental questions that concern Man, his dignity and his eternal destiny” (Benedict XVI 2010a, 11). So, why is God calling all these outstanding young men to the Order, to our province, at this moment? In place of an answer, I have offered some perspectives within which to consider the question. God is drawing these unprecedented numbers of young men to us at this moment for reasons known only to him, even as we strive to be attuned to the signs and hints towards which this bounteous grace moves us. To be honest with you, I am not certain that we-who did not so much leave modern culture behind when we entered religious life as discover and embrace it-are entirely ready for the kind of radical rejection of the ambient culture, on the one hand, and, on the other, a radical commitment to the Dominican-Catholic alternative way of life that we recognize in the young men being drawn to the Order. Viewed in this perspective, these new vocations pose a great challenge to us and to our province: Will these young men find with us the fervent Dominican life that they are seeking, or will they find just a modified version of the popular culture that they have left behind? Will they find the apostolic zeal, the warm intellectual charity, the strong communal and liturgical life, the fidelity to the Church, and the radical commitment to Christ that they associate with the historic identity of the Dominican Order? This is a moment of joy, surely, but it is also a moment of uncertainty. It may be that the vision of a crowded novitiate and studium prompts some concern and even anxiety: What will this cost us, and not just in economic terms, but personally and communally? How can we-I-relate to these young men whose way of thinking seems so different? Are these young friars going to try to change the province? Is God really doing this? I have tried to address some of these concerns today. We need to acknowledge them-and the fear of the unknown, so to speak, that underlies them-even as we welcome the grace and faith to trust in the goodness and providence of God. But we must be confident that we will surely receive the grace to do great things for God who is already doing great things for us. For this is the critical point. Certainly, we weren’t prepared for the astonishing grace of the novitiate and studium both bursting at the seams-even simply in logistical terms-but then, with our great devotion to the mystery of the Annunciation, who should know better than we that no one can ever be prepared for the arrival of a pure grace? And, for sure, that grace will bring with it whatever we need to rise to the occasion it affords and the challenges it poses. For this reason, the provincial chapter of 2010 should be full of hope for the future. Despite the particular problems that you will be facing in this chapter-decisions about provincial commitments, unease about the financial condition of the province, concern about the rising cost of health care, and so on-the divine “vote of confidence,” so to speak, has already been cast. If God is for us, who can be against us? We need the new way of thinking and the spirit of courage that, according to St. Cyril of Alexandria, come from the Holy Spirit. Allow me to conclude with words from his commentary on the passage of St. John’s Gospel read at Holy Mass this morning: “You can see, then, that the Spirit re-creates…in a new pattern those among whom he is seen to dwell. He readily replaces their desire to think earthly thoughts with the desire to fix their gaze only on the things of heaven; he changes their unmanly cowardice into the spirit of courage. We can certainly see that the disciples experienced this: the Spirit became their armor, so that they did not yield to the attacks of their persecutors but held fast to the love of Christ.” (LH, Office of Readings, Thursday, week 7 of Eastertide). Pope Benedict XVI 2010a “Friars’ Lives of Poverty Make Their Preaching Credible: General Audience Catechesis on the Franciscan and Dominican Orders in the Middle Ages,” L’Osservatore Romano, English edition ( 20 January 2010), 11-12 . Pope Benedict XVI 2010b “Cultivating the Cultural Dimension of Faith: General Audience Catechesis on St. Dominic,” L’Osservatore Romano, English edition (10 February 2010), 11-12. Ashley, Benedict, OP 1990. The Dominicans. Collegeville: The Liturgical Press. Burleigh, Michael 2006. Earthly Powers: The Conflict Between Religion and Politics from the French Revolution to the Great War. London: Harper Perennial Center for Applied Research in the Apostolate (CARA) 2009. “Report on Recent Vocations to Religious Life in the U.S.” Origins 39: 193-200. Coffey, Reginald M., OP 1969. The American Dominicans: A History of St. Joseph’s Province. New York: St. Martin De Porres Guild. Di Noia, J. A., OP 2009. “Discere et Docere: The Identity and Mission of the Dominican House of Studies in the 21st Century.” The Thomist 73: 111-27. Gleason, Philip 1987. Keeping the Faith. Notre Dame: University of Notre Dame Press. Hinnebusch, W. A., OP 1966. The History of the Dominican Order (vol. 1): Origins and Growth to 1500). New York: Alba House. Hinnebusch, W. A., OP 1967. “Dominicans.” New Catholic Encyclopedia 4: 974-82. Hinnebusch, William A., OP 1973. The History of the Dominican Order (vol. 2):Intellectual and Cultural Life to 1500. New York: Alba House. Aidan Nichols, OP 2008. The Realm: An Unfashionable Essay on the Conversion of England. Oxford: Family Publications. Robinson, Jonathan 2005. The Mass and Modernity. San Francisco: Ignatius Press. Rowland, Tracey 2003. Culture and the Thomist Tradition: After Vatican II. London: Routledge. Smith, Christian, with Snell, Patricia 2009. Souls in Transition: The Religious and Spiritual Lives of Emerging Adults. New York: Oxford University Press. Taylor, Charles 1992 . The Ethics of Authenticity. Cambridge: Harvard University Press. Taylor, Charles 2007. A Secular Age. Cambridge: Belknap Press of Harvard University Press. Tugwell, Simon, OP 1979. Way of the Preacher. London: Darton, Longman & Todd. Vidmar, John, OP 2005. Fr. Fenwick’s “Little American Province.” New York: Dominican Province of St. Joseph.